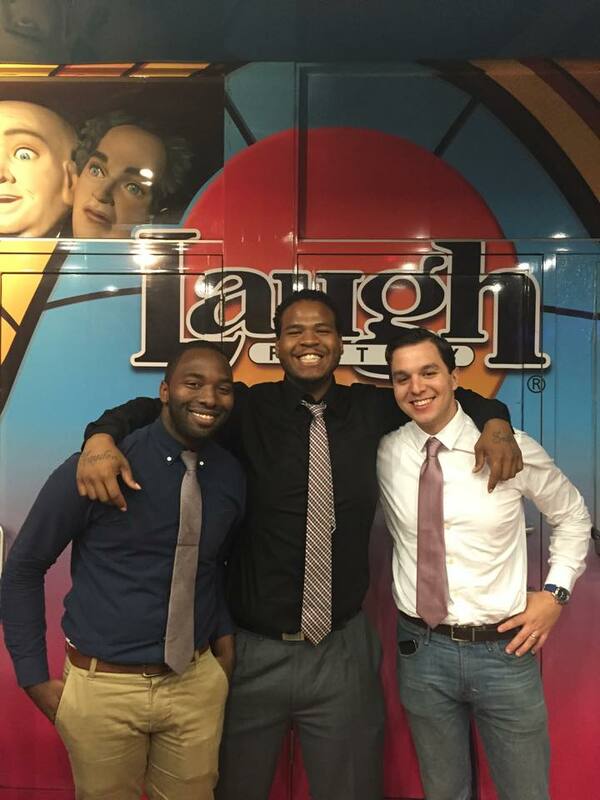 When it comes to performing at The Chicago Laugh Factory, Brian Morton and Curtis Shaw Flagg are the main guys in charge. Aside from booking comedians and determining who will "pass" and showcase on their beloved stage, Curtis and Brian are also responsible for managing every aspect of this legendary comedy club. This includes greeting audience members, seating them comfortably, monitoring the sound, making sure the show room runs smoothly, managing the bar, thanking audience members on their way out, and of course preparing for the very next show. Curtis was born and raised in southern Illinois to a family related to Richard Pryor! With a degree in bioinformatics and the skills of a writer, Curtis found his way into The Laugh Factory as a social media marketer, and he worked his way up from there. Brian grew up in New York, spent 4 years in the Air Force, and also became a culinary chef all before discovering Chicago comedy at the notorious CYSK showcase. He started as a door man at The Laugh Factory and worked diligently to get to the position he is now. We discuss the process of what it takes to become a Laugh Factory regular, what the goal should be once a comic is finally passed, and what it takes to put on the best show possible. 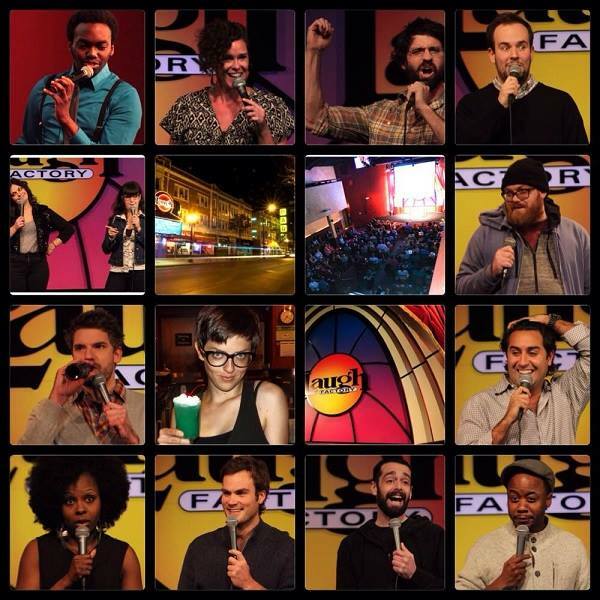 Laugh Factory local talent almost 100% exclusively. 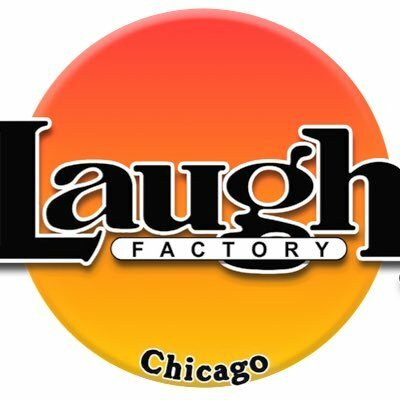 COMEDY OF CHICAGO: Everybody who is not a regular wants to know, what does it take to get passed at The Laugh Factory? CURTIS: Probably the question we get asked the most. The short answer is: There are multiple ways. Everybody knows about the open mic / showcase process, which takes ANY amount of time. Some do it for years, and others just pop up. It’s very cliché to say, “Just be funny”, but it’s all about working hard, being dedicated, coming to the mic, and doing shows across the city, because we are everywhere. More than anything, we are comedy zealots. I listen to comedy just as much as I do music. I grew up around it. 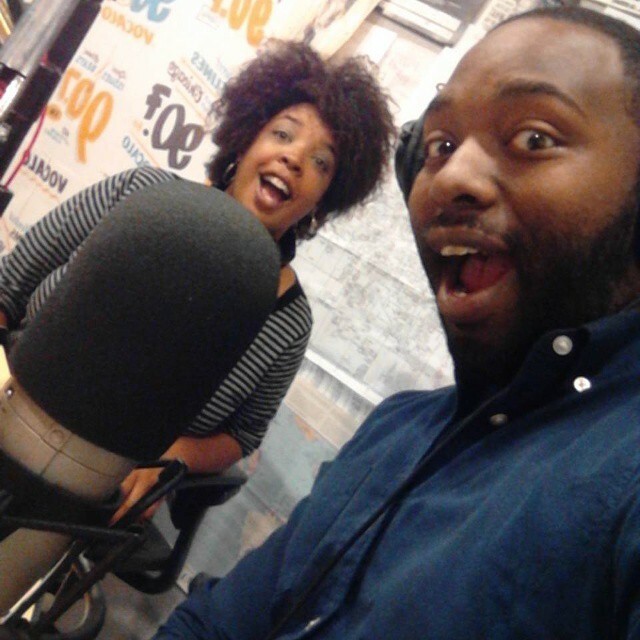 COC: How does the open mic / showcase process work? CURTIS: To give everyone an idea of the way it works is, we or Jamie Masada sees you, and then you get put into the showcase process. Traditionally, our mic is 3 minutes of clean material. Jamie always says he wants you to prepare your “Tonight Show five”. So, you kind of want to go into it thinking, “If I’m going to do Jimmy Fallon, is this something I would say on air?” You want to keep that in mind, because ultimately that’s what he’s looking for. He’s looking for the next greatest comic. So, we try our hardest to be everywhere and discover that so we can put that in front of him. COC: What do you guys look for specifically in each comic at the mic / showcase? BRIAN: Honestly, your jokes matter, but when you’re seasoned and you’re good on stage, you can talk about ANYTHING. If you’re good enough, all of that will show. So, command the stage. It is a bigger stage than you are used to. You have to perform. Also, bring people to support you, because it is very hard to play to a room full of comics. In a sense, the mic is an audition, so if every comic brough just 2 people, it would be a much better audience for the mic. CURTIS: We’re looking for growth. It doesn’t necessarily have to be a new 3 minutes each time, I’d like to see how you improved your last 3 minute set. But also, since you only have 3 minutes, I’d like to see what else you have. But I think the thing that shows the most is your presence and your confidence. 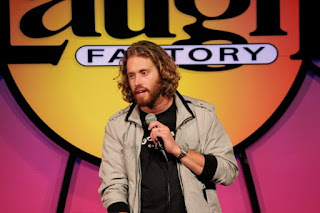 TJ Miller on the LF stage. 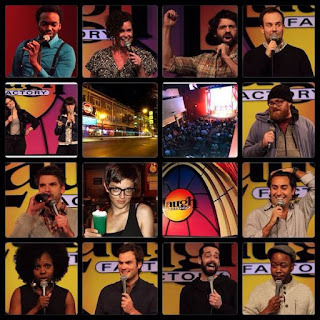 COC: What do you think makes The Laugh Factory so special? BRIAN: The name alone. And then the size of the stage and the theater intimidates people, because most people who have done stand up probably have never performed on a stage this big. It’s a whole different thing once you get to a stage like that because you actually have to perform. CURTIS: The amount of talent. Look at the comics who have left Chicago to go to either coast. There is SUCH a plethora of talent here. For all the comics who are trying to get in, you really have to look at your competition. The talent pool in which the comics here in Chicago compete in is SO huge. COC: Do you think it’s oversaturated? CURTIS: It’s NOT oversaturated, there can never be enough great comics. I love having so many great comics to choose from and kind of do the tetris of a show, trying to put the best of the best on. I think it speaks more than anything when you see them leave for a coast and really succeed. COC: Comics must constantly ask you guys to pass them and put them on your stage. What is that pressure like? CURTIS: It’s hard. People will always ask, “Hey why am I not getting put up?” but our namesake is on the line with every comic that we put in front of them. I am putting my word and my stamp behind each comic that I’m showcasing. I want to make sure that I’ve seen you enough, so that by the time I put you in front of Jamie, you’re ready to deliver. BRIAN: A lot of people say things like, “You’re putting up the same comics too much!” But, we’ve watched these people work SO hard to achieve their goals and dreams, so don’t be jealous of these people, work harder than them! If you’re writing every day and you’re performing every night, you will get it. CURTIS: I will also say, it’s probably the most fun because it’s a challenge to be in charge of putting on and producing these shows. The fact that you have SO many people reaching out, wanting spots, wanting to get up, and most of them not even getting paid, just wanting guest spots—that type of hunger makes you happy to be doing what you’re doing. It’s stressful because it’s a lot of busy work, but it’s something I take great pride in. 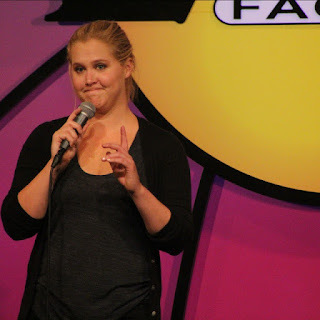 COC: What goes into putting together a show at The Laugh Factory? CURTIS: I try to remain completely unbiased as well as fair and diverse. With a paying audience, there are certain demographics you want to represent. And you want to make sure that you have the best of the best from each genre so that both the comedy lover and the paying customer gets what they want. 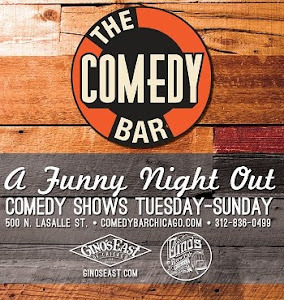 There are 300+ people here in any given night, so you want to make sure that each person had a great experience with a good taste of Chicago comedy. COC: What if a comic may not appeal to your particular style of humor? Does that hurt their chances of getting passed? BRIAN: Funny wins no matter what, always. If it isn’t my or Jamie’s type of humor, but Jamie sees everybody in the audience laughing even though he isn’t, he will pass you. It might not be his cup of tea, but he understands comedy. CURTIS: If you make me laugh, that’s great, but I’m not paying to come see a show here. I am looking for someone who is funny, and who crushes across the city. At the end of the day, we just want to put on the best possible comedy show we can. COC: Do you think it is the comedian’s responsibility to help sell tickets and fill seats? CURTIS: I think it helps if they can draw. If you are an amazing comic, but you aren’t the best at marketing yourself, that won’t keep you away from being put on the stage. But, as a comic, you should figure out a way to market and brand yourself because that’s only going to help you further down the line. Some of the best of the best figure out a way to not only be a very strong comic, but to also market and brand themselves in a way that is appealing to everyone. COC: What is your favorite part about working at The Laugh Factory? BRIAN: My biggest thing is watching comics grow. It’s magical to watch the progression of so many comics who you know are working SO hard. It’s beautiful. At the end of the day, the biggest thing first and foremost is that we are fans of comedy. I love it. I love the art form of it, I respect it. I understand it very, very well. I love that it’s free speech, and how it makes you think in a different type of way. CURTIS: Our staff. They work really hard to make sure that the audience is enjoying the show, and they are just as important of a part of our club as the comics. COC: What does “Finding Your Voice” mean to you? CURTIS: I think it’s an “Ah ha!” moment, like the changing of the guard of being an amateur finding your way to actually knowing who you are as a comic, what you stand for, what your angle is, and then delivering that in a way that makes people laugh or think. I think it’s finding your confidence. BRIAN: I think it’s when you stop pretending to be whatever comic that you like. Because there’s a comic you related with who got you into stand up, and at first you end up speaking like that person. But eventually, you figure out what you’re really good at. And that to me, is finding your voice. COC: Once a comic gets passed at The Laugh Factory, what should be the next goal? CURTIS: Getting better on the stage. I think getting better never stops no matter who you are or what you accomplish. You can always work and tweak something here and there, it’s a never ending process. Just because you become a regular here doesn’t mean it stops here. COC: Do you think comics ever get too complacent once they get passed? BRIAN: I think people get complacent, especially when comics know that they can walk into any place in Chicago and get a spot. I think there are a few things people are scared of: Success, failure, and some people just don’t know what they’re capable of. Also, a lot of people don’t know what the next step is, especially when it comes to moving to either New York or L.A. They think they have to start all over again, but you have to realize that you aren’t because you have all these tools in your belt. BRIAN: I’ve always looked at it like we’re a Division-I college. You can come here and get the BEST education that you could ever get in stand up comedy, out of any city. When you go to New York or L.A. and you have this base here in Chicago, you are seasoned. You can go out there and you can show off what you learned here. CURTIS: Yeah, and other people might say, “Man, I feel like I should be there!” And you’re right, that’s the exact frame of mind that you should be in, and you should work towards that goal. That confidence of, “I should be getting booked!” keep it, but prove it. David Gavri is a stand-up comedian, writer and founder of the online comedy sites Gonzo Fame and Comedy Scene in Houston.